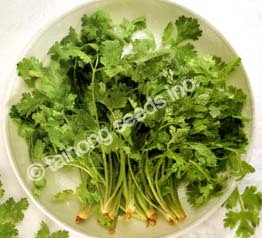 Coriander / Cilantro 香菜 | Tainong Seeds Inc.
Long stem with tender, light green leaves. Harvest when 8 ~ 10 inches tall. Best growth from 65 ~ 77 F (17 ~ 25 C).